SUNDAY IS PALM SUNDAY. The church I was associated with most of my life did not observe Palm Sunday in any way. I'm happy to say that for the past 20+ years we have been blessed by an observance of this special day. There are many many palm trees in our area. We have a few in our own yard. I love the account in the Bible where the children waved palm branches as Jesus rode into Jerusalem on the donkey. I love it when the children at church wave palm branches on Palm Sunday. When I was searching for a picture of a palm frond to use today, I ran across a blog that was so sad. In the post, the writer was recalling her experiences growing up. She says now she is an atheist, but she does have fond memories of waving palm branches at church when she was a child. She was evidently bored with everything else that went on at that church. I left a comment on her blog and have been praying for her. I don't know her but I felt so sad after reading her post. If you are new to this blog and would like to share something on your blog by linking it here, please click on Linking Info under the header picture for instructions. Everyone is welcome. Sweetened Waters: 20 Pounds. . . and Counting! micey-the hits keep coming. . .
Now the Day is Over. . .
EPHESIANS - Praise the King! Hi Charlotte, I have been waiting since last October to post this wonderful blessing the Lord gave me on our trip to NC last year. We had been hiking in beautiful NC, celebrating hubby's successful knee surgery and on our way back to our hotel. We passed this church and was not sure we believed what we thought we had seen so turned around and went back. Sure enough, it was Calvary. This was October and then I realized the church was Mt Calvery Baptist and this was a permanent reminder of His Love for us. Standing there taking picture took my breath away. Looking into that tomb, the empty slab, brought tears of blessing for what HE did for us at Calvary. So happy to share once again on SS. I am also so happy you are now part of a church that celebrates Palm Sunday. I grew up have palms to wave and later the churches gave us palm crosses, hubby and I still have these crosses in our bibles. Thank you for hosting this precious site. Happy Palm Sunday/Easter week. Easter Week, beginning with Palm Sunday, is a time of hope and re-birth! I pray that your comment on the woman's blog planted the seed that will encourage her to seek out her Savior! Hi Charlotte - Well some situation changes in our home and I may finally be able to return to posting on Spiritual Sundays along with my husband, Ed at The Sheep's Pen. Could use some prayer for protection and renewal. Captivity may be turned - but the scars from captivity are deep, indeed. The churches I now attend don't celebrate Palm Sunday, but I miss that tradition and have been thinking about it all week! This week I am excited to share a VERY special book with all of you that I reviewed at Create With Joy called Healing Your Church Hurt by Stephen Mansfield. It is one of the most powerful and life-transforming books that I have read all year! I am hosting a giveaway for a copy of this book through April 7, and I pray that anyone who may be in need of this message stops by and checks it out! Have a blessed week and thanks once more for this wonderful forum! So sad when someone turns their back on the Lord...will be joining you on Sunday with my post. Have a blessed weekend! It is sad. But then again, I am always thankful when I see cars with bumper stickers with atheist, anti-God messages, because I see them as a cry for help, and boy, do I press in and pray for them! That they may be blessed, filled with the joy of the Lord, become believers! Blessings on them all! I think when we live what we talk....people who want what we have. Glad you reached out to her. Hope the weekend for you and Cliff is a good one. Hoping to focus on the death, burial and resurrection of my Lord and Savior this week! I, too, have sweet4 memories of Palm Sundays spent waving the Palm branches in church. Perhaps most special, my son was baptized by his Great-Uncle on Palm Sunday! yes Yeshua Jesus is definitely worthy of Celebration! may your Palm Sunday worship be a Celebration of His Presence ..
My faith is my greatest comfort. I don't know how those that don't know that comfort find their way through life. That is another reason we must share this blessing. Thank you, dear Charlotte. I will be smiling thinking of palm fronds. I'm sure the Lord led you to this precious person just to pray for her. As she remembers that simple act of waving palm fronds, I join with you in praying she will remember the loving act of a Savior who gave his life for her and receive his eternal life. May you have a blessed week. Thanks for so faithfully hosting us and here and your comments to each of us. You are a blessing to me. Hi Charlotte, I join you in praying for the salvation of this woman. may you have a blessed Palm Sunday & Resurrection Sunday! We are called to be salt and light. May your obedience lead this woman to Christ's light. Praying for her salvation and praising God for your loving heart. God bless you, Charlotte. Today at church a potted Palm Tree was on display at the front and someone had prepared short palm branches that each of us received as we entered church. The Pastor noted that the cry "Hosanna" was in a few days changed to "Crucify Him," but happily in three days the shout was "He is Risen." Yesterday we had the funeral for my wife's Godly mother. Later I commented to my wife that Mother Ruth would have been deeply embarrassed if she could have heard all the escalades that those in attendance gave in honor of her quiet but Saintly life. We do not often know how far the touch of our life extends to others. 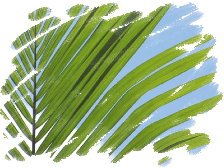 We've enjoyed the palm fronds off and on depending on where God has us each year. But I grew up in a Lutheran church that did them every year, and now enjoy sharing that story, along with the teaching about Palm Sunday with my grandkids. Yesterday, I was blessed to help in their Sunday School classroom as their teacher was out ill. I noticed the teacher in the next room had them, but we did not - possibly because of the missing teacher. BUT we enjoyed talking about Palm Sunday in our classroom and used it as part of a word game to help them learn about it. Then we went into the main teaching room, where all the kids were able to see a bag of coins, a large crown of thorns, and two big pieces of wood that were the size of a cross - up close - and even touch them. Definitely an excellent lesson all around to help all the Sunday School kids, including my grandchildren, get a very realistic "hint" of what Jesus Christ went through for us. A true blessing. Joining with you in prayer! I belong to a church where Palm Sunday is not celebrated. I really, really love the chruch home the Lord has called us to worship at, serve with, and fellowship ...but sometimes I do wonder what it would be like if 'we' did focus a bit more on what I might, I guess, call a holy day, like Palm Sunday? BUT, we are having a BIG Easter celebration this coming Sunday. That was very kind of you to leave a comment on that lady's blog. So thankful to join in on Spiritual Sundays! Hello Charlotte, Here I am again, with God directing. You don't know what I am saying, but I thought I was going to your other Blog, not here. I too, loved Palm Sunday and all the joy of the donkey taking Jesus into Jerusalem. Our church just said it was Palm Sunday yet nothing was done..such a shame. I pray that lady whoever she was, who is an atheist comes to personally know, Jesus the risen savor this Easter.